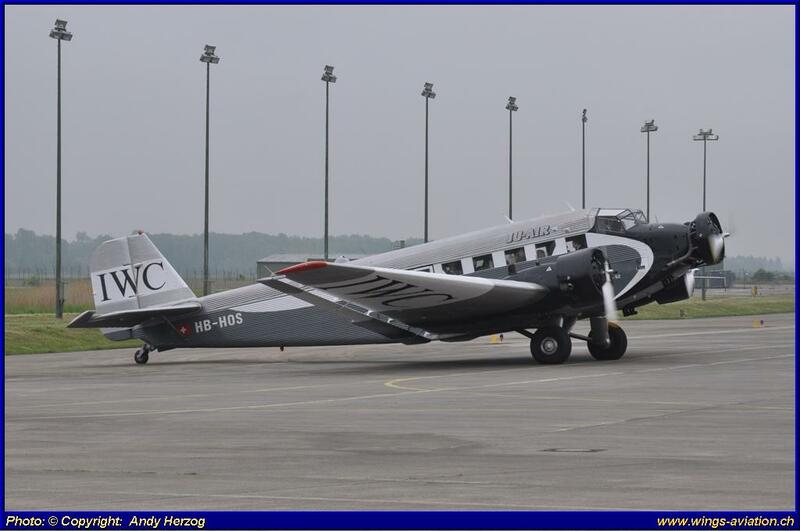 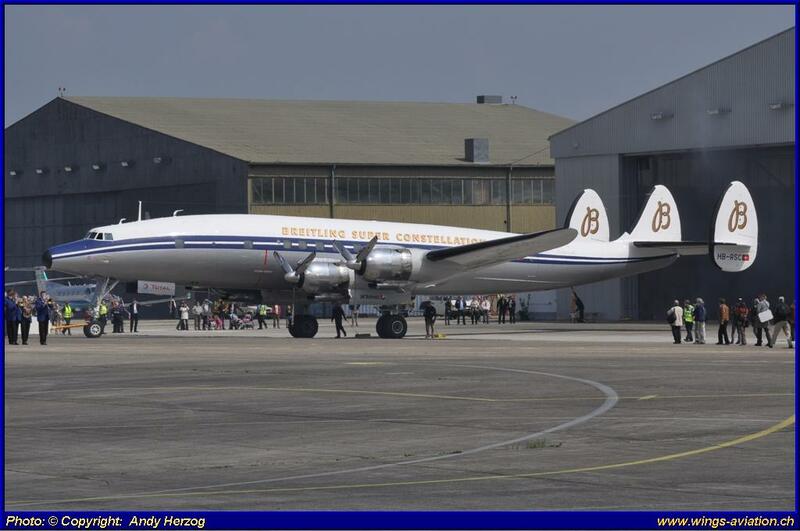 Since 2009 the Lockheed C-212C (L-1049F) Super Constellation, HB-RSC was undergoing a major overhaul at the Black Forrest airport at Lahr, Germany. 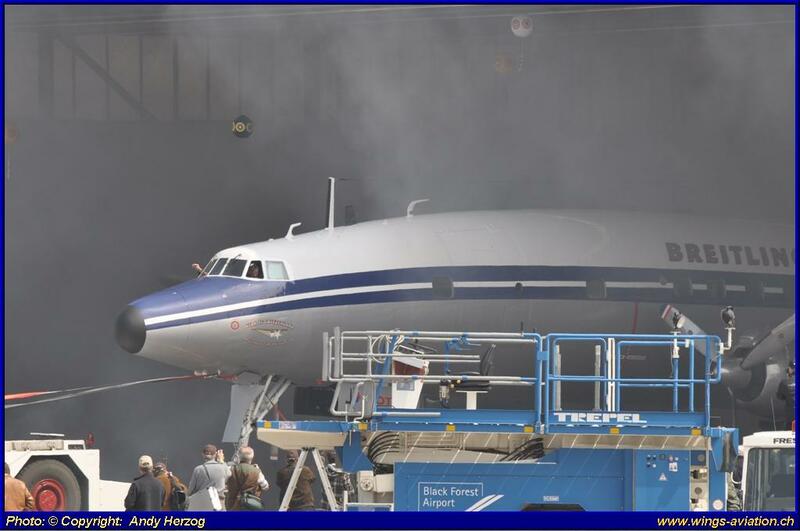 Corrosion in there wing structure and problems with the engines kept the plane for almost 18 months grounded. 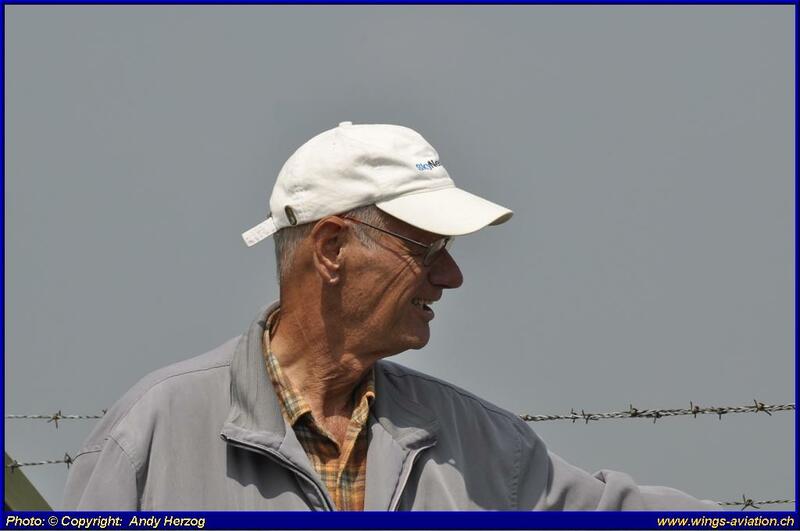 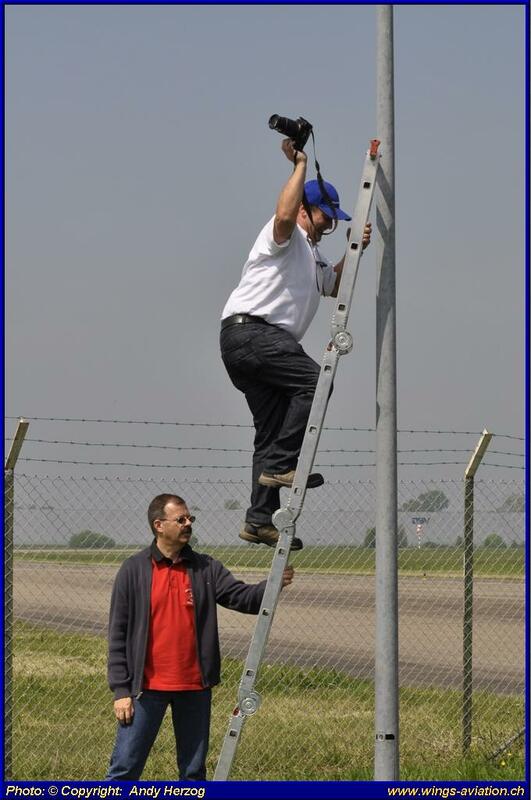 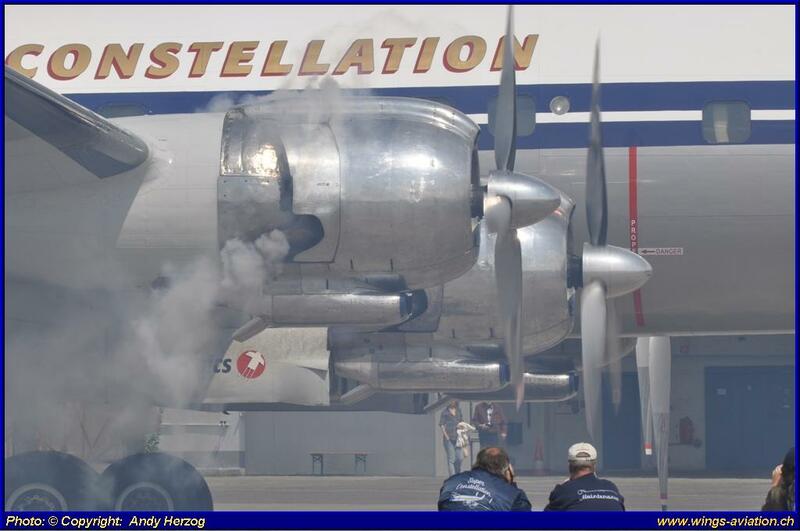 Many volunteers and hard working hours where necessary to bring the Connie back in the air. 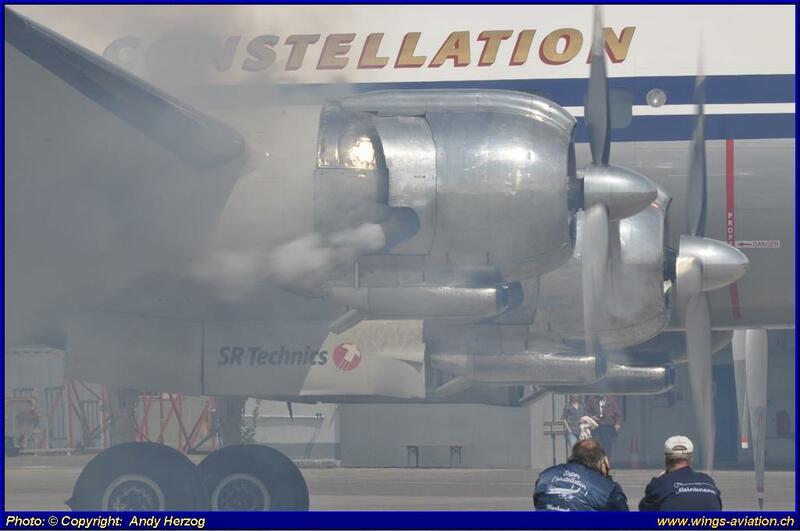 Finally last Saturday 30th April 2011at 1:30pm the long waiting moment came true; The roll-out and engine start-up of the rebirth of the “Super Constellation”. 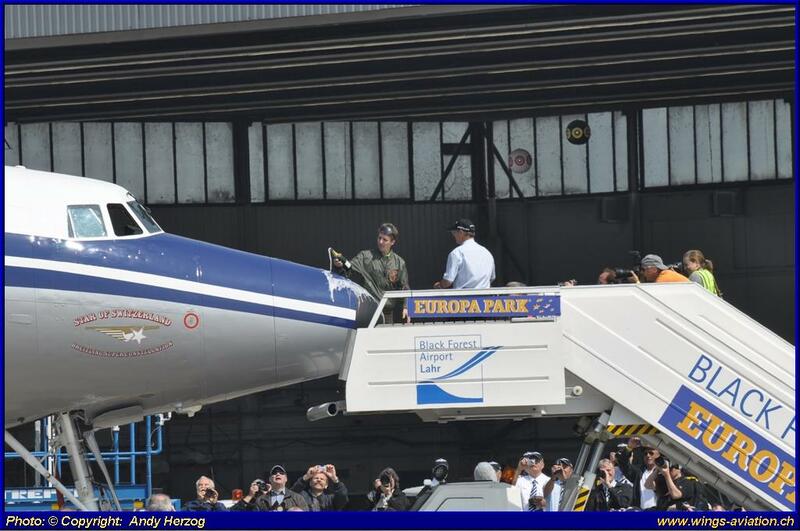 The Inauguration ceremony was attended by hundreds of enthusiasts, as well as press members and officials. 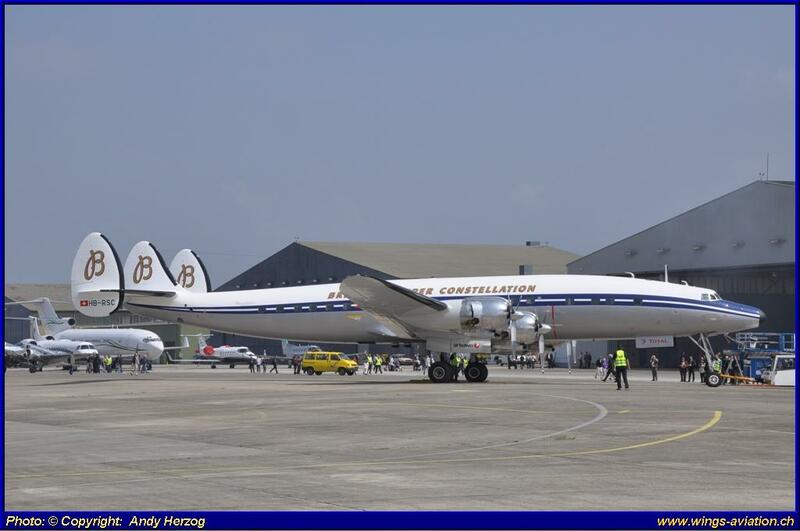 It was a great moment for all of use, considering there are only three flyable “Super Constellations” worldwide and “our” Connie is the only one in the northern hemisphere! 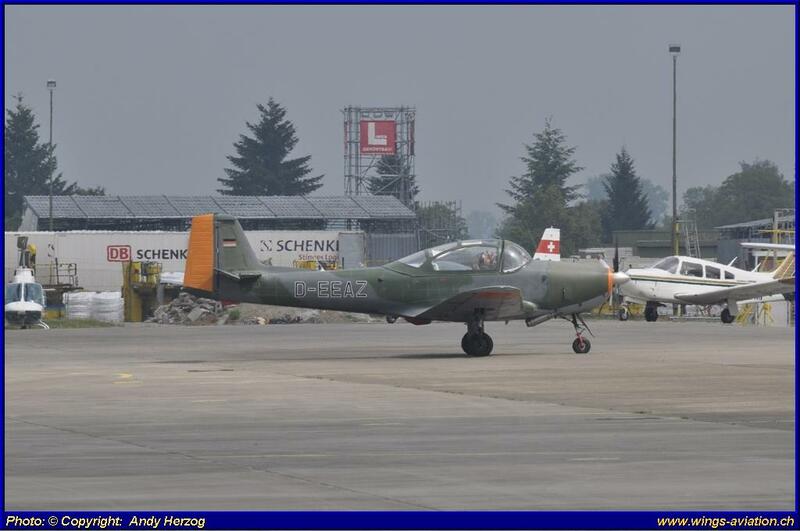 We are delighted to see the STAR of SWITZERLAND flying again and would like to say thank you to all involved people and to all the sponsors, namely BREITLING, SR-TECHNIC and TOTAL. 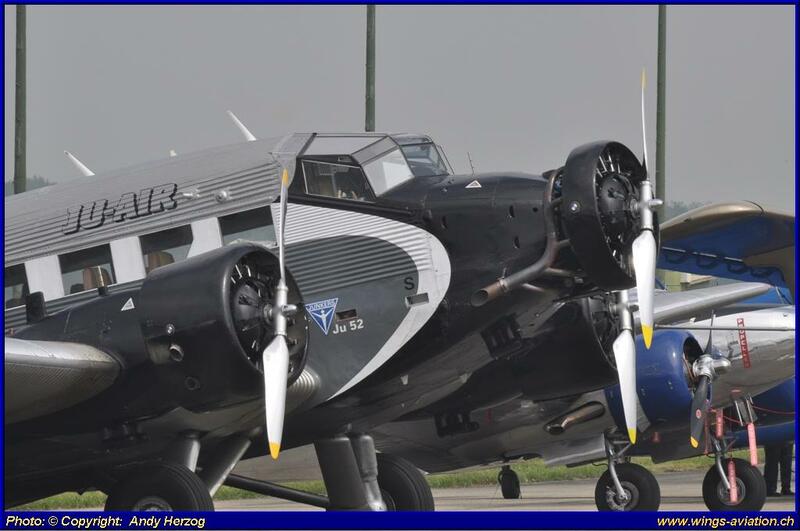 “THE QUEEN OF SKYS” is back. 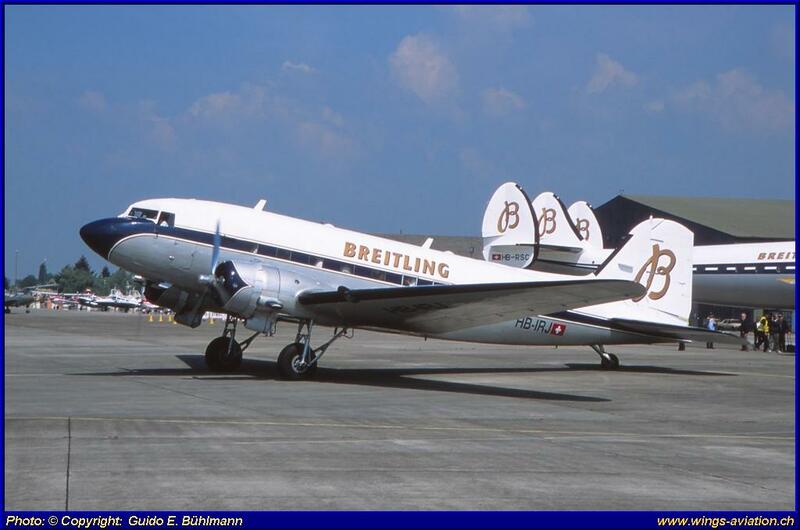 The aircraft (c/n 4175) was build at the Lockhheed Corp. plant, Burbank-USA in 1955, and handed over to the Military Air Transport Service (MATS) by 1st November 1956. 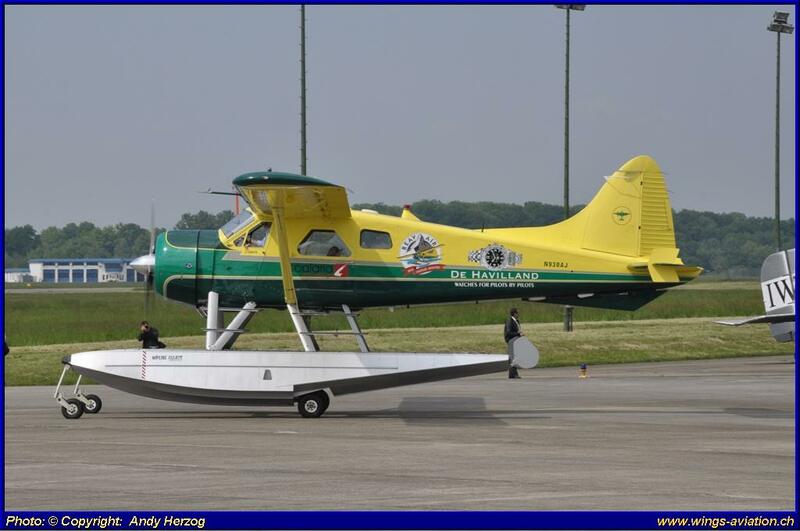 1962 the aircraft switched over to the 183th Air Transport Squadron of the Mississippi Air National Guard (ANG). 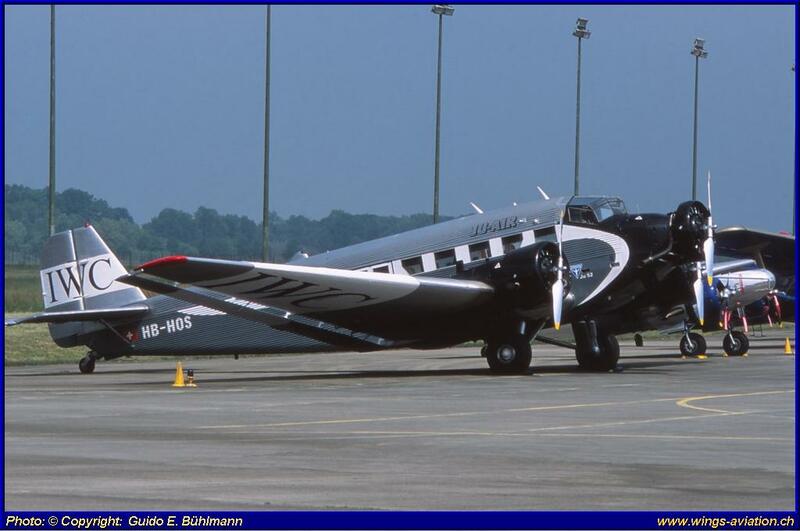 A few years later the aircraft went to the 167th Aeromedical Transport Squadron of the West Virginia ANG. 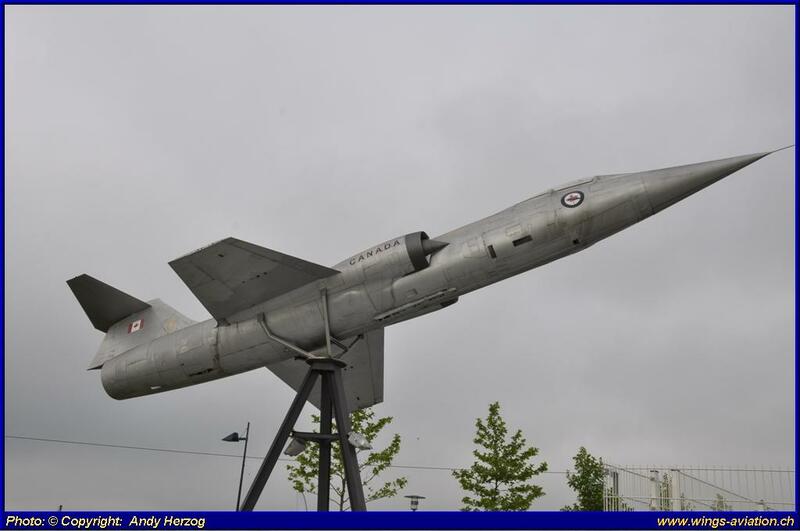 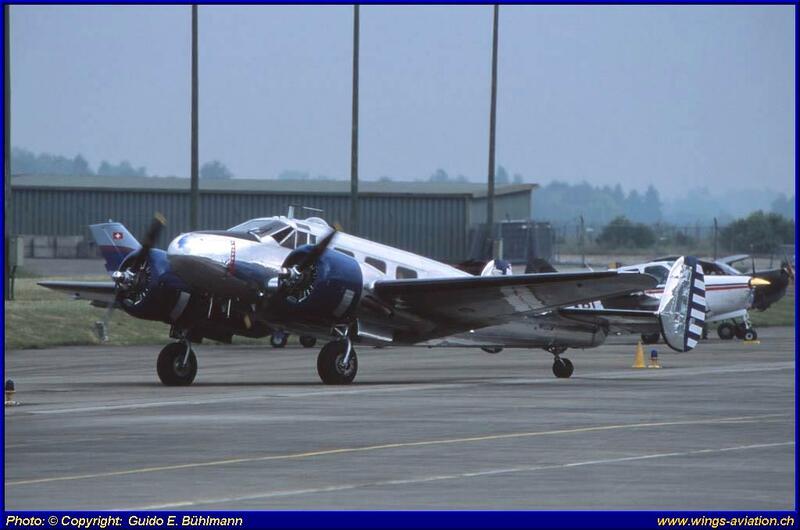 1972 the plane was withdrawn from service and stored at the Davis-Monthan Air Force Base, Arizona. 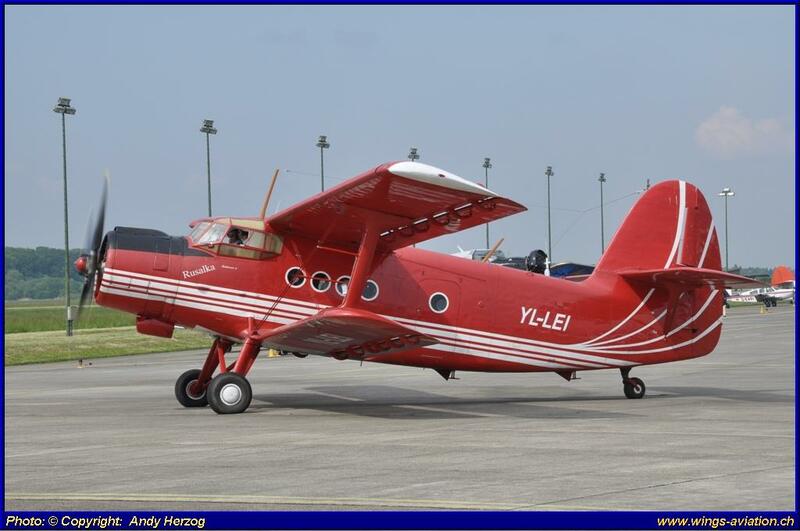 Later on in the 1970s the aircraft became a new civil registration (N73544) and was used as an agriculture spraying aircraft. 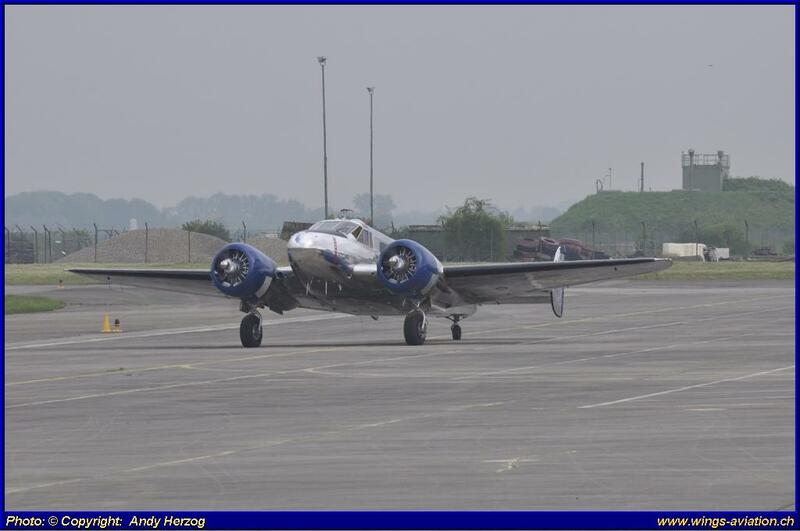 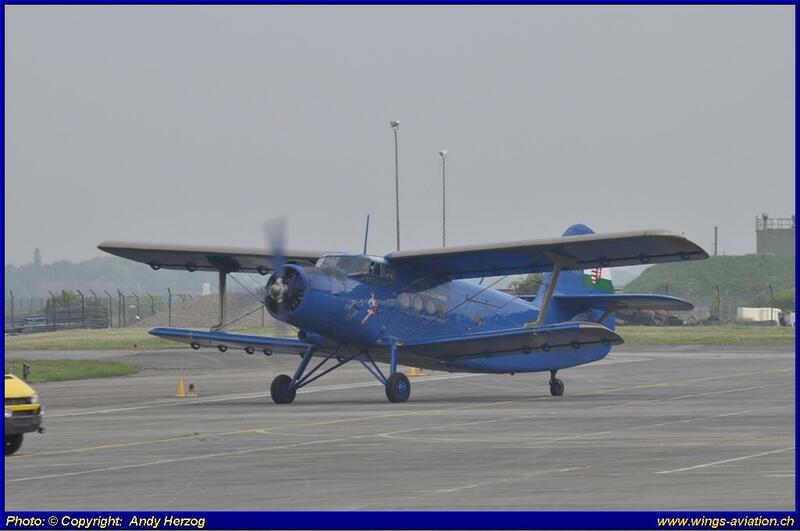 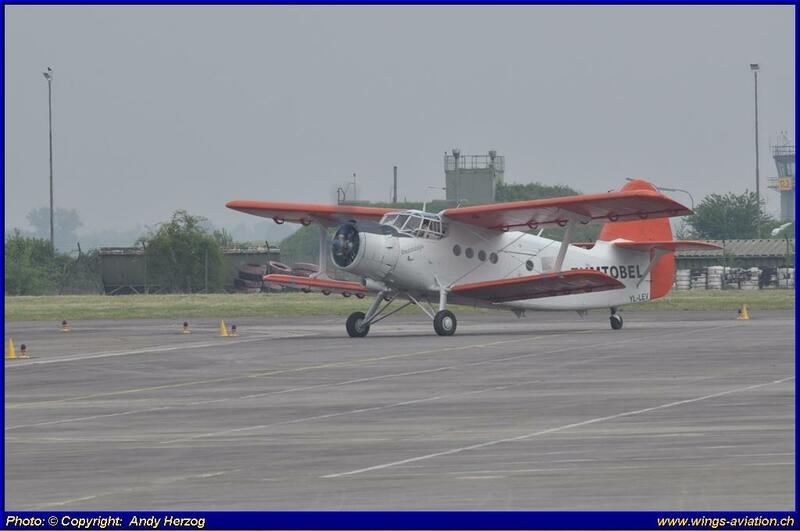 But the plane was very badly looked after and was in an almost non-flyable condition! 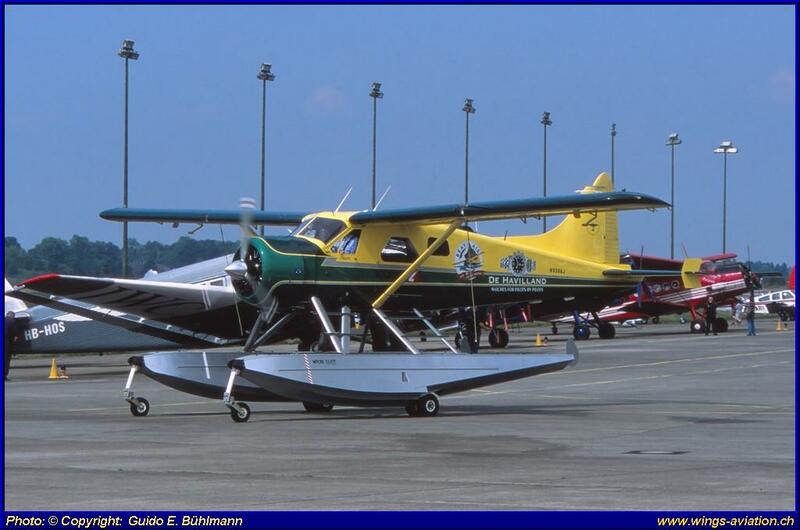 In 1983, Mr. Daryoush “Benny” Younesi and his partner buy the aircraft for their company “Winky’s Fish Corp. 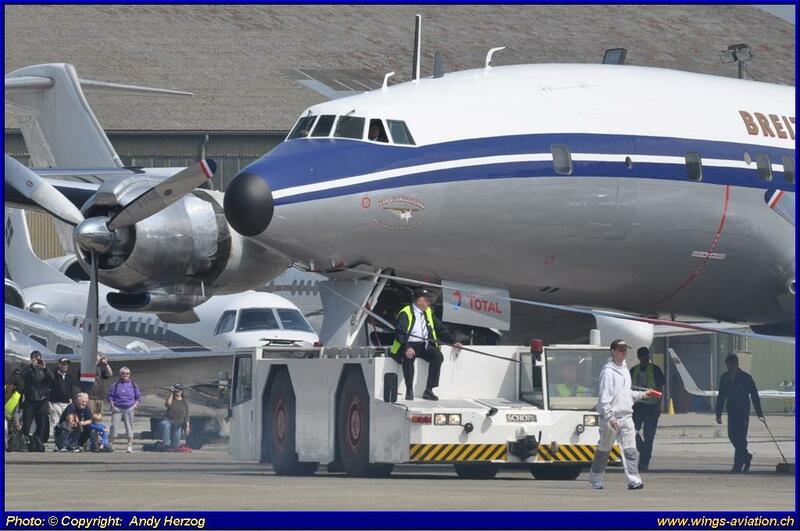 They intend to transport tuna fish’s from the Philippines to Japan. 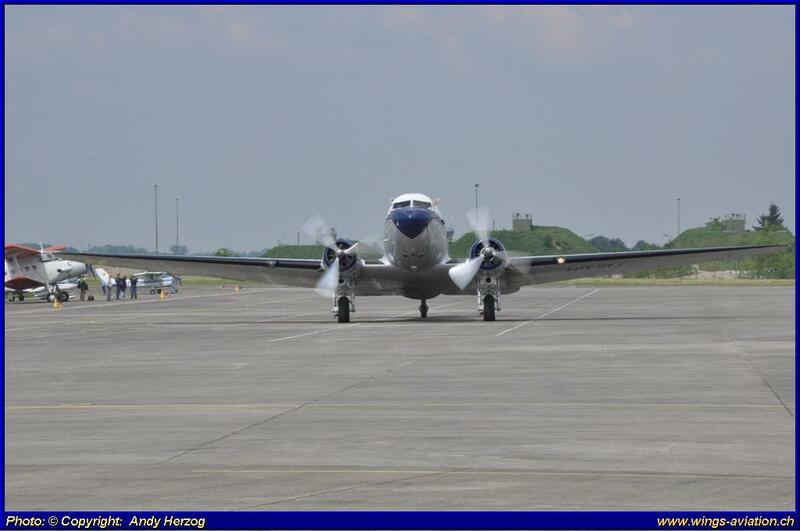 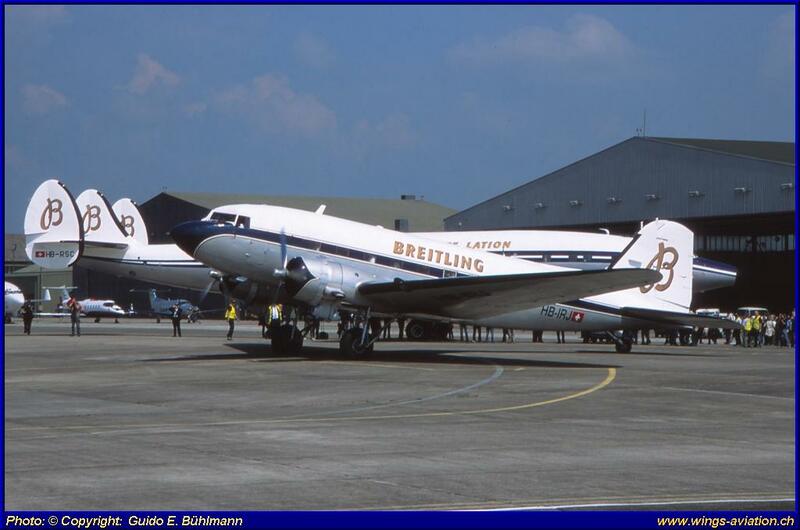 At that time the company had two Super Constellation’s in service. 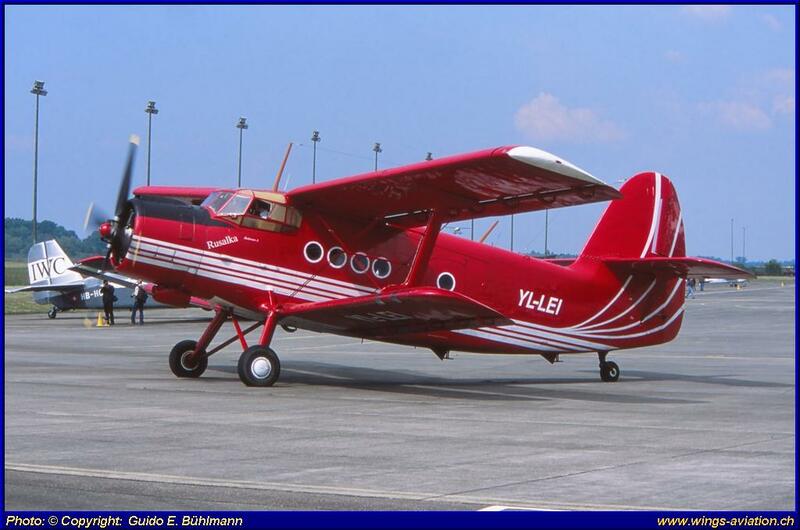 One of the aircrafts flew several rides before the aircraft was confiscated at Manilas airport. 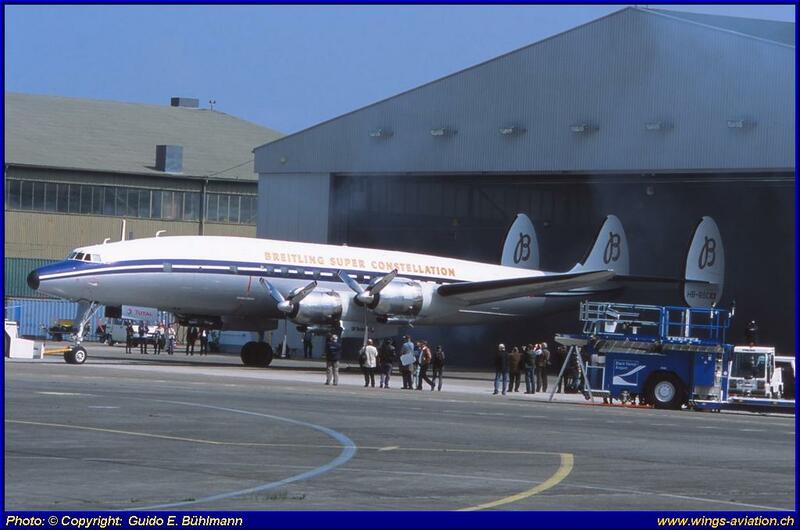 From January 1984 until 1991 the plane was stored at an airfield near Camarillo and was in a bad condition. 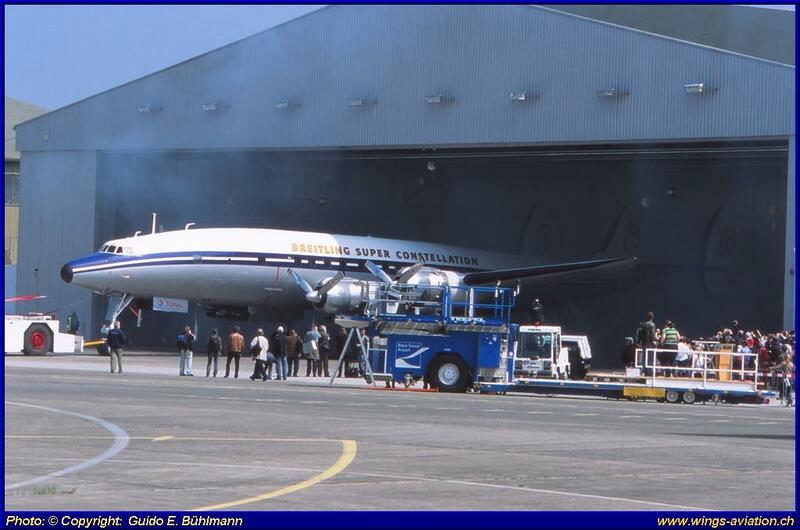 1991, Mr. Daryoush “Benny” Younesi founded the “Constellation Historical Society” and with many of his volunteers the aircraft became flyable again, in 1994. 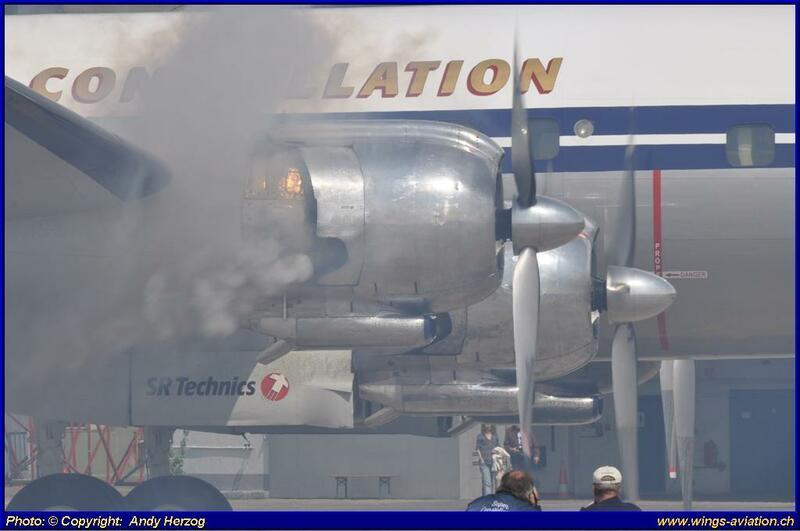 Since then the Connie participated on U.S. Air shows across the country. 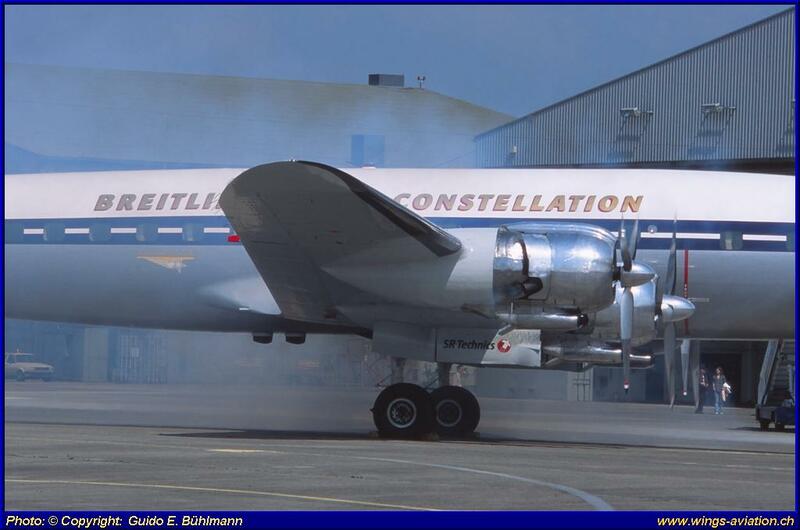 On 12th December 2003, Mr. Francisco Agullo and Mr. Urs Morgenthaler signed the contract in Los Angeles to buy the Super Connie and fly it to Switzerland. 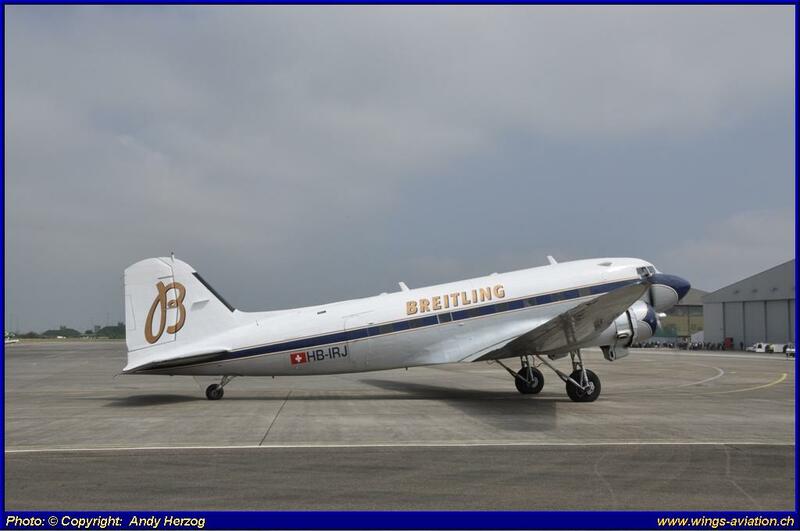 On 26th April 2004 the “Star of Switzerland” left the United States on a ferry flight to Switzerland where the “Queen of Sky” landed on 8th May, in their new Breitling livery, at the Euroairport Basel-Mulhouse-Freiburg. 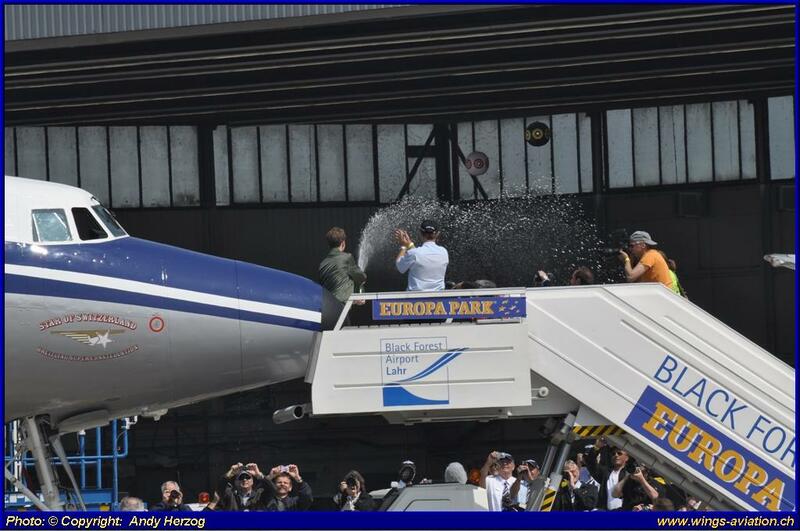 Thousands of aviation enthusiasts welcomed the aircraft at the airport. 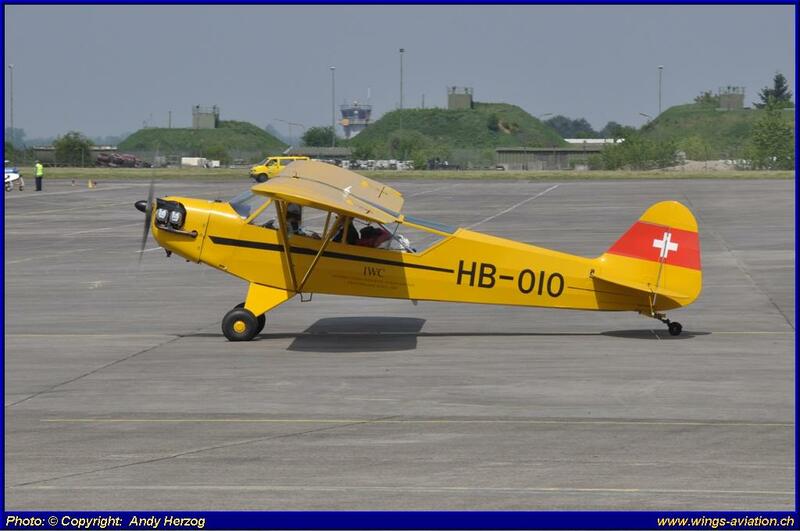 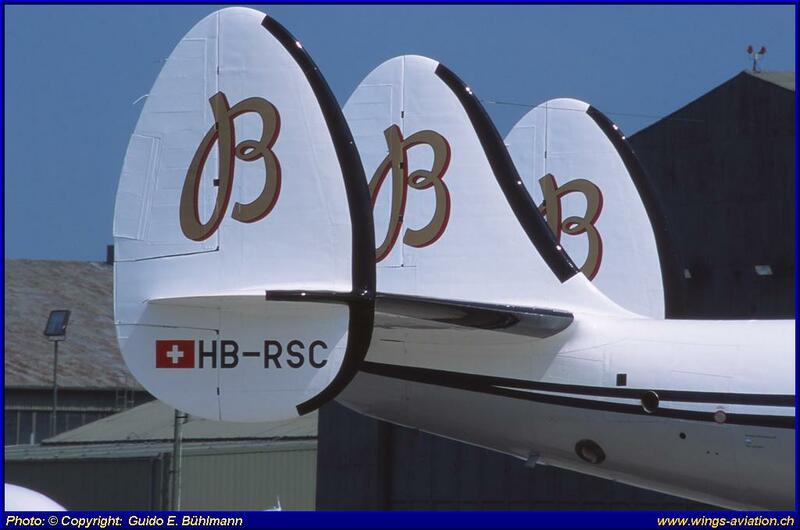 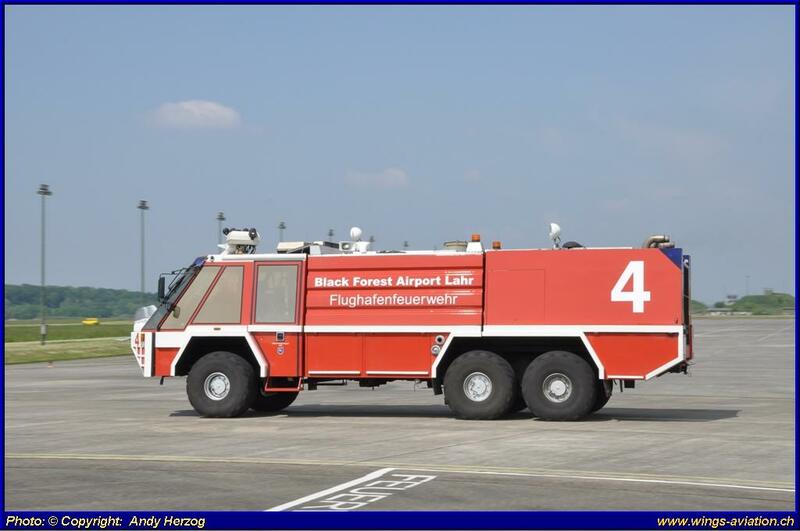 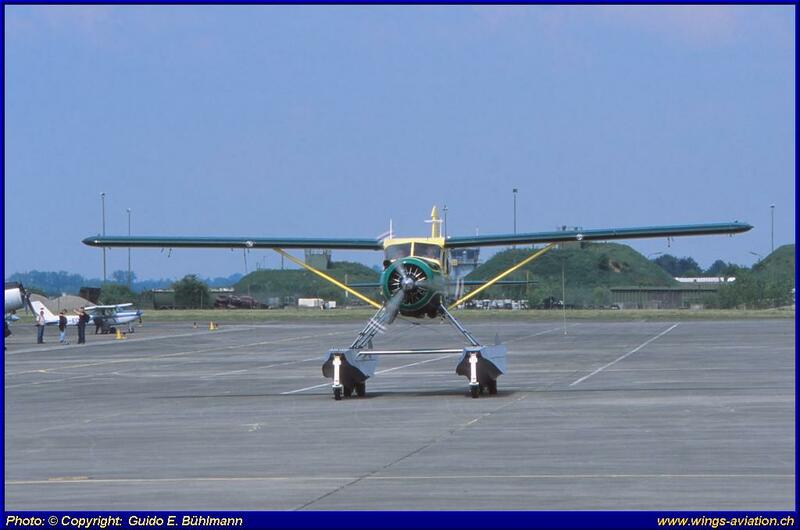 In May 2007 the aircraft became her new Swiss registration HB-RSC. 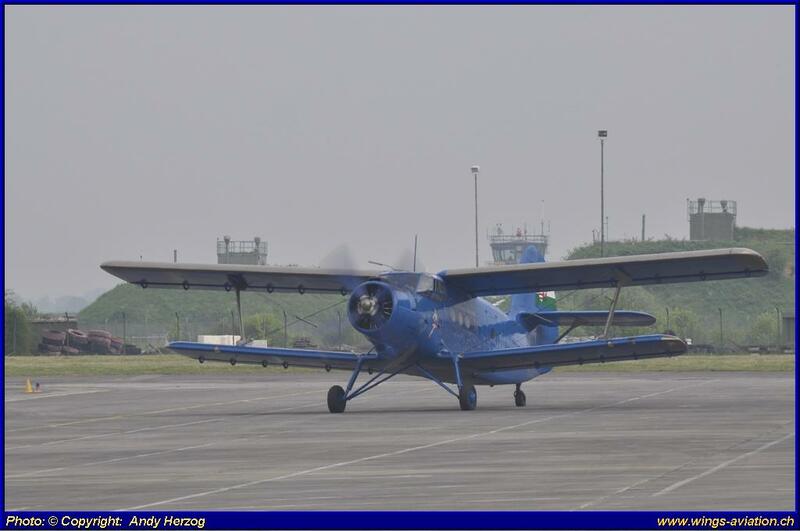 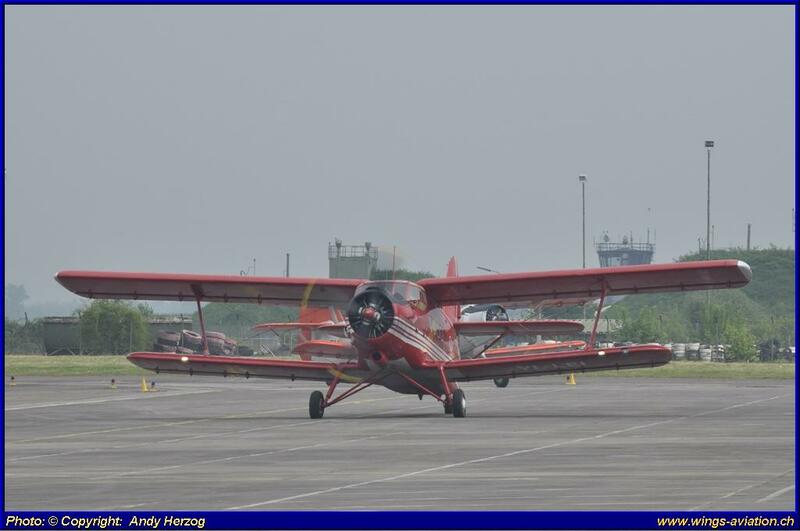 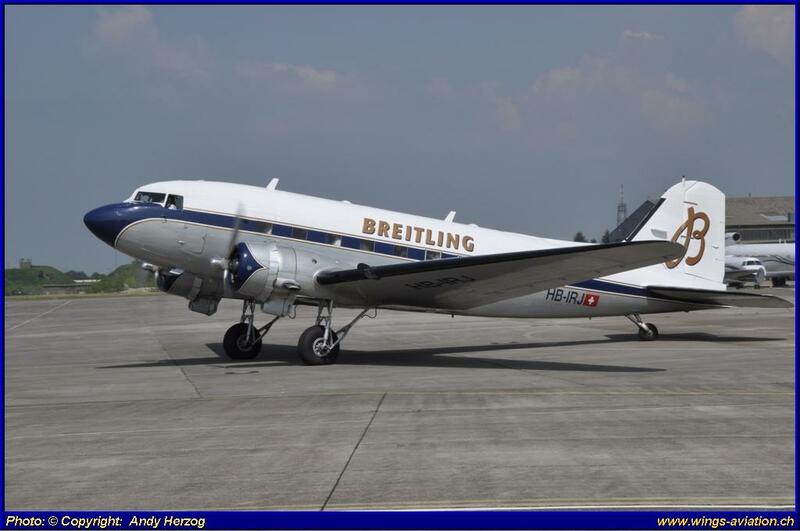 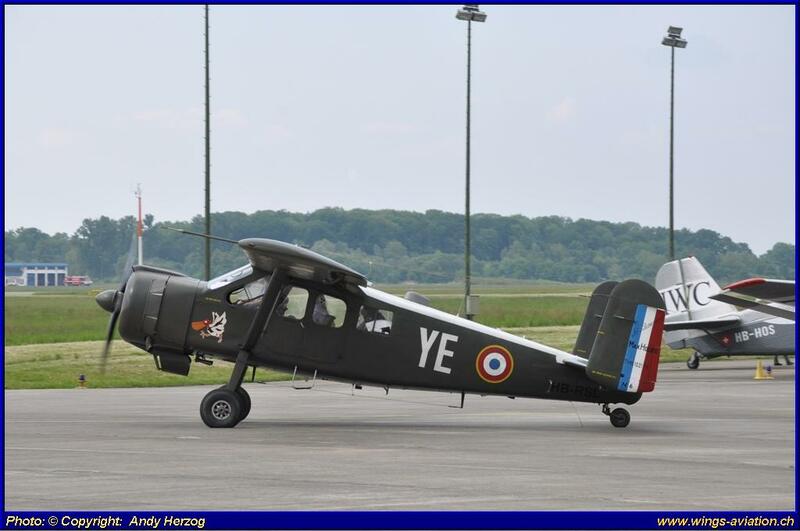 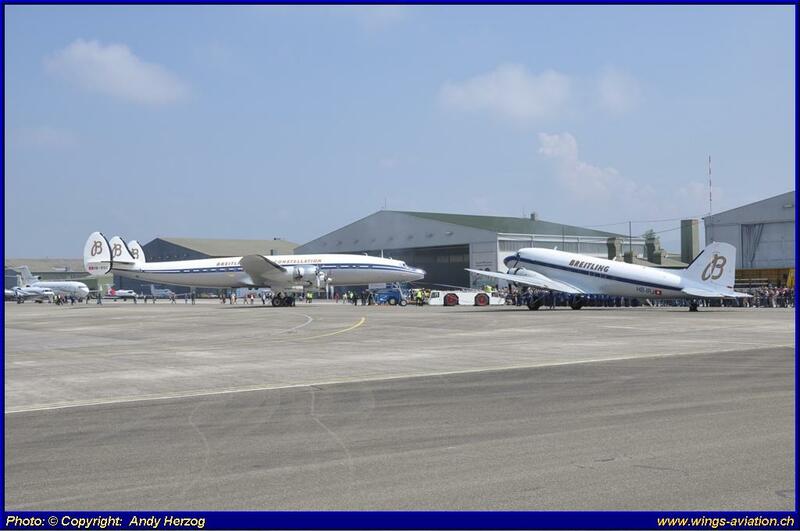 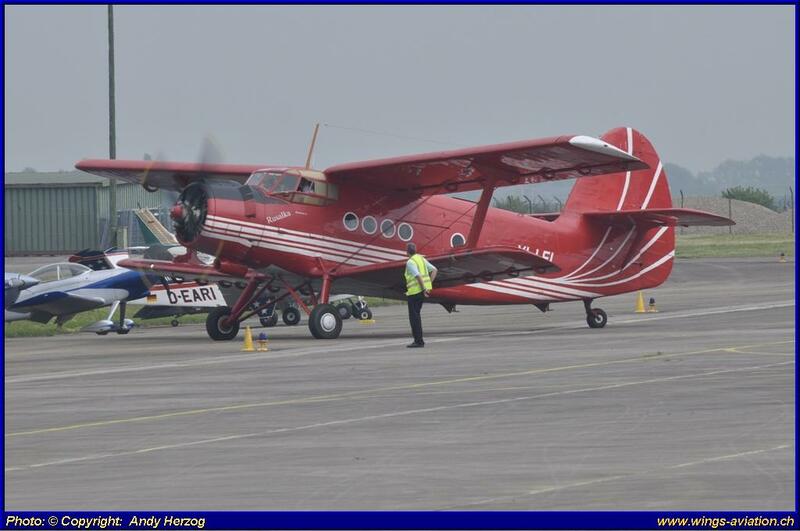 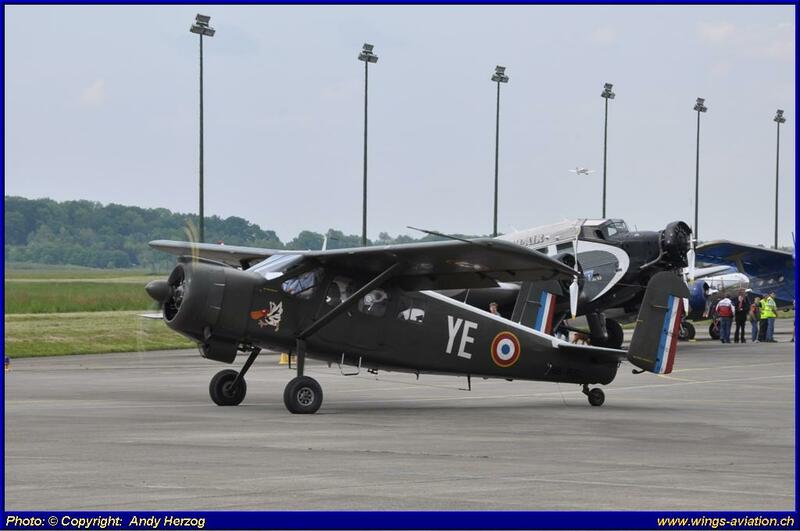 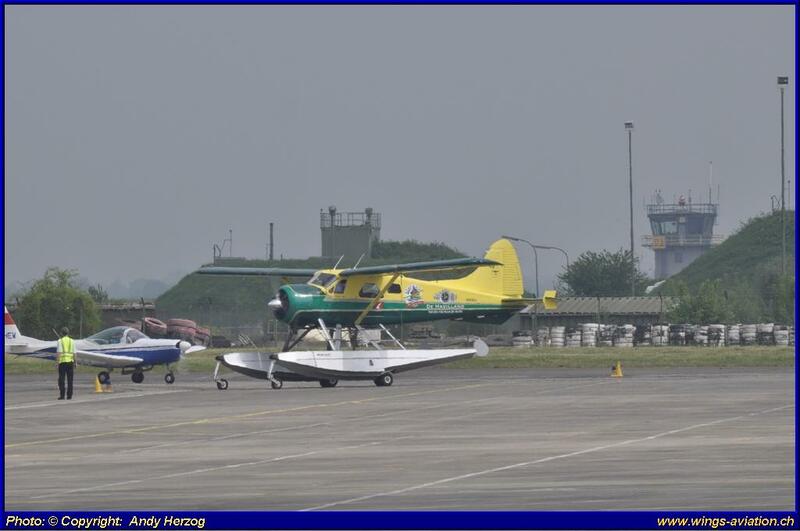 The whole event reminds me of a first class old-timer meeting, regarding all these vintage airplanes how paid there tribute to the Super Connie, such as four Antonovo AN-2, one De Havilland DHC-2 Beaver, one Piper J3C L-4, one French MH-152M Broussard, two Beech 18 Expeditor and finally one Piaggio P-149D.